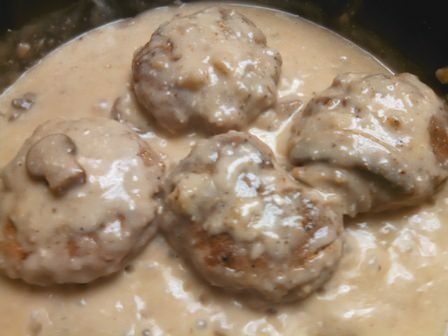 The following recipe is for a quantity of 10-12 pieces of chicken in a thick creamy mushroom sauce to be eaten over risotto, rice, pasta or mashed potatoes. A company dinner of tender chicken breasts in a creamy mushroom sauce to be served with risotto, rice, pasta or mashed potatoes. 1-1/2 cup chicken broth, more as needed. 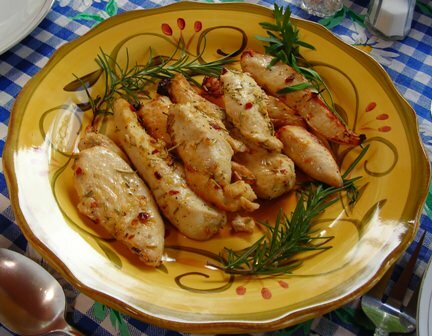 Remove the fat from the chicken breasts. Cut horizontally though the thickest part of the breast, cut in half for equal size. Pound between wax paper if need to get equal thickness. Mix the bread crumbs and seasonings in a plastic bag. 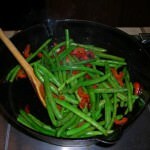 Heat the olive oil and butter in a large heavy skillet. Dip each piece of chicken in the cream, then shake in the bag of crumbs to cover. Remove any excess crumbs. Lay the chicken in the hot skillet, just to brown, do not overcook. Remove the chicken to a oven-proof pan. Brown the remaining pieces of chicken, layer in the over-proof pan. Deglaze the skillet with a small amount of broth, loosen the residue bits of chicken loose to be come part of the sauce. Add the flour, whisk, stir to blend adding broth to make a smooth sauce. Pour in the sliced mushrooms, just to moisten and heat slightly. Pour sauce and mushrooms over the pan of browned chicken. 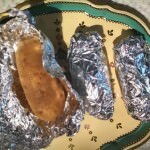 Cover tightly with aluminum foil and put in oven 1 hour. 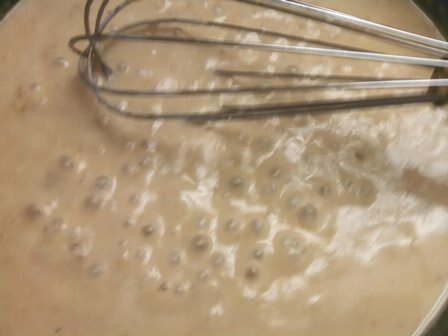 Undiluted evaporated milk can be used in place of cream............................ Julia Ann and cookbookinabox® in partnership with Netta Belle’s Choice® brings you great recipes for your cooking experience. ©2007-2018 Netta Belle’s Choice® The Art of Gourmet Cookery® cookbookinabox® “Reg. U.S. Pat. & Trdmk. Off.” Reg. “Trade-marks Canadian Intellectual Property Office. 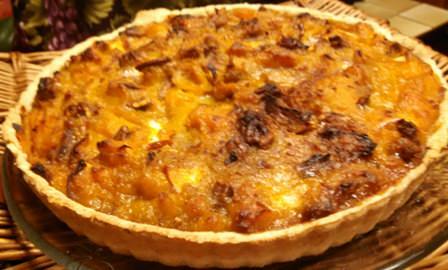 “Netta Belle’s Choice® The Art of Gourmet Cookery® cookbookinabox®.All rights reserved. 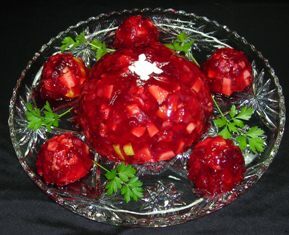 Cranberry Sauce, Crushed pineapple , Diced Apple, and Chopped Walnuts in Cherry Gelatin. 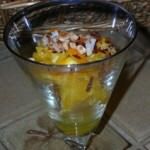 Julia Ann and cookbookinabox® in partnership with Netta Belle’s Choice® brings you great recipes for your cooking experience©2007-2018 Netta Belle’s Choice® The Art of Gourmet Cookery® cookbookinabox® “Reg. U.S. Pat. & Trdmk. Off.” Reg. “Trade-marks Canadian Intellectual Property Office. 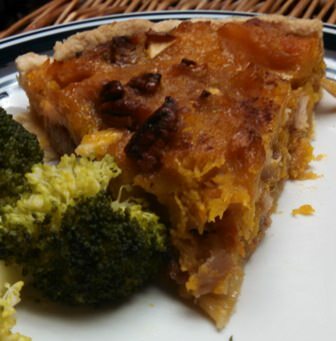 “ Netta Belle’s Choice® The Art of Gourmet Cookery® cookbookinabox® All rights reserved. 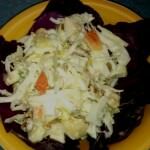 This entry was posted in Poultry and tagged chicken, chicken breasts, crimini mushrooms, dinner, entrees, mushroom, mushroom sauce on October 24, 2016 by Julia Ann. Chicken Schnitzel: A fresh change from comfort foods. 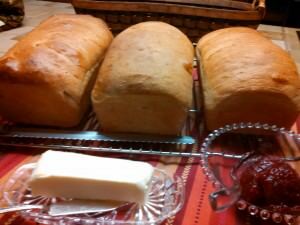 We have been having soups, creamy casseroles, breads and desserts to comfort us in the cold of winter. I decided we needed something crispy and fried. 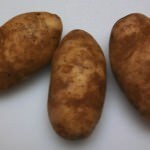 Fried food is a rarity at our house, we bake, broil, steam, lightly saute or braise. I remembered Chicken Schnitzel. It tasted so good, crispy, tender pieces of breasts of chicken with a crispy coating. It was a nice change. We look for comfort in foods, in the cold weather we look for comfortable clothes by wearing layers of tee shirts, sweatshirts, big sweaters, and warm pants. 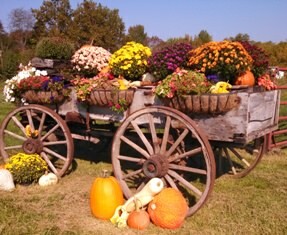 Then comes spring and the unveiling! Will that be a shock to you? 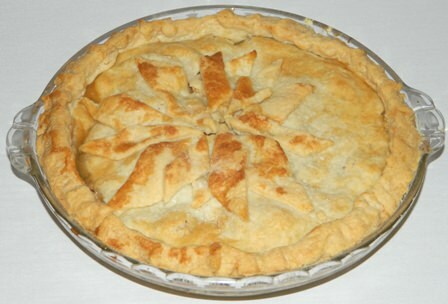 Have you found all your comfort foods around your middle? Are your scales a forbidden place to step? Does it sound like a lead into for a low calorie meal? It wasn’t that at all. Really just changed the flavor of comfort foods to foods cooked in olive oil. I cut the chicken breasts into thin layers, 1/4 to 1/2 inch thick. I did not flatten the pieces, as in true schnitzel. 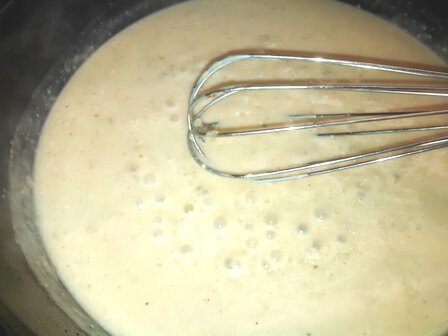 I mixed an egg with 1 tablespoon water and prepared a pan of flour, cayenne pepper and a seasoning blend and black pepper. I dipped the chicken cutlets in the flour, then into the egg mixture and again into the seasoned flour. When the oil was hot in the skillet, I added the chicken cutlets to brown under a reduced heat, until crispy on both sides, about 4-6 minutes each sides to 170 F. This recipe was inspired by Winemonger.com. 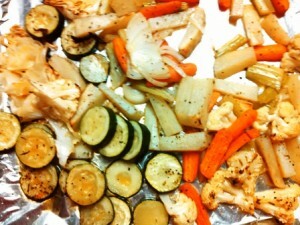 The side dish was roasted mixed vegetables, coated with olive oil, dried Italian Seasonings and black pepper. The vegetables are those on hand, this time we had potato, zucchini, onion, garlic, carrots, celery, cabbage and cauliflower. These were roasted at 525 F to tender and somewhat browned, 20-25 minutes. They were a nice balance with the Chicken Schnitzel. 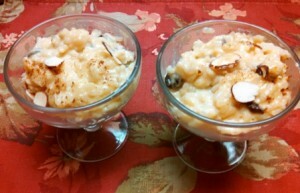 We still had some sweet, warm, creamy, comfort food: Creamy Rice Pudding. 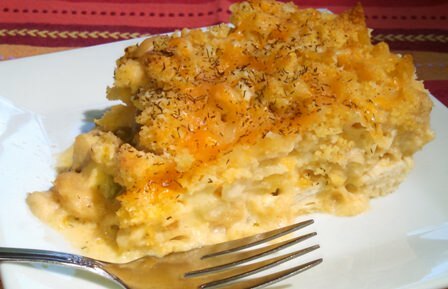 This is a favorite recipe adapted from Chef Ron Lock’s Creamy Rice Pudding. 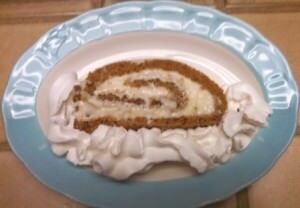 I used long grain white rice, 1 cup vanilla soy milk, 1/2 cup Carnation Milk and 1/2 cup water. 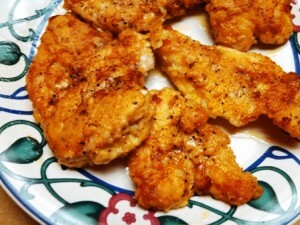 Fried crispy chicken cutlets with a thick crust over the tender white chicken breasts. 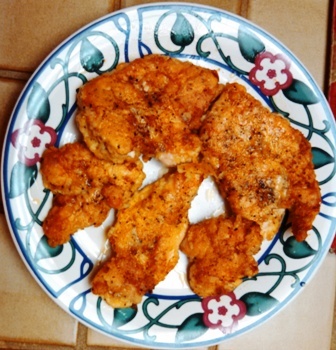 Lightly season the chicken cutlets with cayenne and Flavour-Enhancer Spice Blend. Mix the measured amount of seasonings in the flour. Roll the chicken cutlets in the seasoned flour. Dip in the egg to coat on both sides. Again dip in the seasoned flour, set aside while seasoning the rest of chicken. Heat the olive oil, hot, in a heavy skillet, the oil will sizzle when chicken is added. 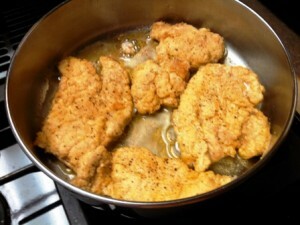 Place the chicken cutlets in the skillet to brown about 4 minutes. 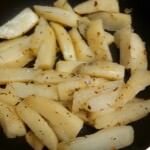 Sprinkle more black pepper is desired. Turn the pieces over to brown the other side for about 4-6 minutes. The temperature of the chicken should be 170 F when done. Lay the crispy chicken cutlets on a meat platter lined with toweling to drain excess oil. 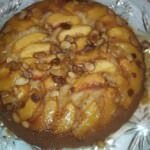 Julia Ann and cookbookinabox® in partnership with Netta Belle’s Choice®l bring you great recipes for your cooking experience...©2007-2018 Netta Belle’s Choice® The Art of Gourmet Cookery® cookbookinabox® “Reg. U.S. Pat. & Trdmk. Off.” Reg. “Trade-marks Canadian Intellectual Property Office. “Netta Belle’s Choice® The Art of Gourmet Cookery® cookbookinabox® . All rights reserved. This entry was posted in Menus, Poultry and tagged chicken breasts, dinner, fried chicken, roasted vegetables, schnitzel on January 29, 2016 by Julia Ann. 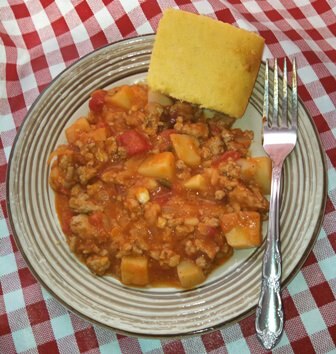 I adapted this recipe from The Fannie Farmer Cookbook. Ground turkey patties smothered in mushroom gravy to make a distinctively different Salisbury Steak satisfying dinner. Mix all the ingredients together from the turkey to the thyme. 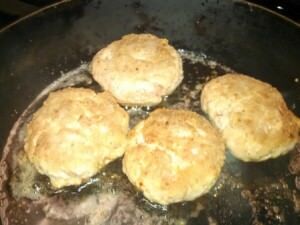 Make 4 thick patties with the turkey mixture. Dredge in flour, set in refrigerator for 20 minutes. Melt the oil and butter. Brown the patties on both sides with moderate heat. Remove to plate and keep warm while making the gravy. Add the remaining flour to the fat in the skillet, brown. Add the chicken broth and milk. With wire whisk stir to a smooth and thickened gravy. Add more broth or milk as needed for right consistency. Add the turkey patties and cover with gravy. 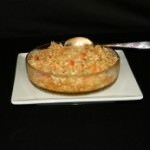 Serve with mashed potatoes, brown rice or noodles. Julia Ann and cookbookinabox® in partnership with Netta Belle’s Choice® brings you great recipes for your cooking experience. ©2007-2017 Netta Belle’s Choice® The Art of Gourmet Cookery® cookbookinabox® “Reg. U.S. Pat. & Trdmk. Off.” Reg. “Trade-marks Canadian Intellectual Property Office. 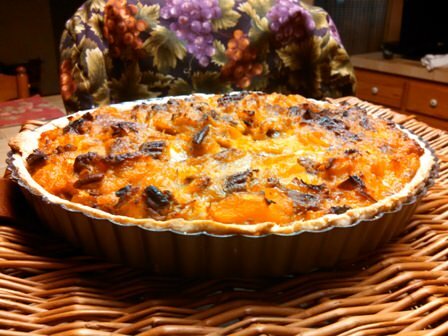 “Netta Belle’s Choice® The Art of Gourmet Cookery® cookbookinabox® All rights reserved. 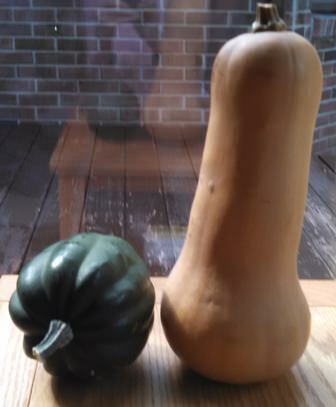 This entry was posted in Meats, Poultry and tagged dinner, gravy, mushrooms, patties, Salisbury Steak, turkey on January 22, 2015 by Julia Ann. 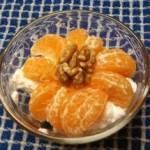 There is so much attention to what is healthy and best for us to eat. With vegan and vegetarian recipes available in magazines, on the internet, in old and new cookbooks, one gets to feel guilty to even consider poultry. Of course, poultry is still recommended as a good choice. Lemon-Bar-B-Que Chicken is my attempt to slim down a chicken entrée. Of course the primary ingredient is 2 skinless boneless chicken breasts, cut into 3-4 strips. 2 Skinless, boneless chicken breasts cut into 3-4 strips. Ingredients for the Lemon Bar-B-Que Marinade. Marinades are to tenderize and flavor the meat. 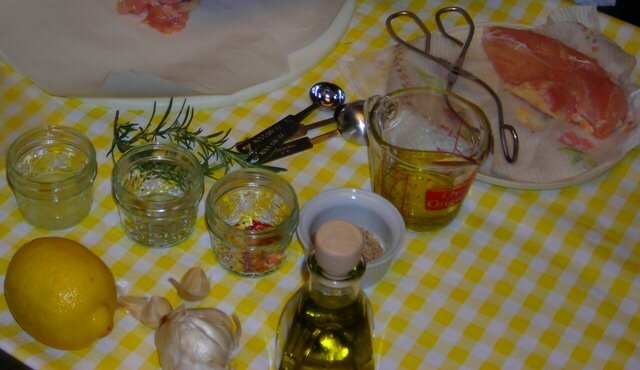 Use containers of glass, stainless steel or plastic bags to marinate, as most marinades contain some acid such as lemon juice, wine, vinegar or fruit juice. Refrigerate for at least 1 hour, some recipes will give longer marinating time depending on the cut and size of the meat. Turn or stir the meat in the process of marinating. 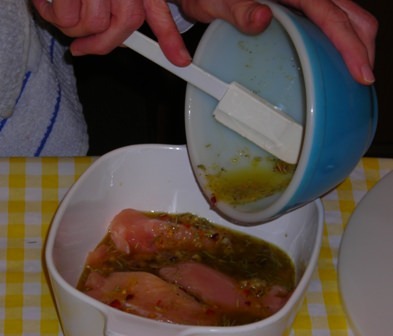 Some recipes do not use the marinade over the meat while cooking. Adding the marinade to the chicken to refrigerate. A tantalizing barbecue chicken without the heavy sweet sauce; lemon zest and juice with the dried crushed red pepper flakes give is a tangy and spicy flavor. Fresh parsley or rosemary sprigs to garnish. Cut the chicken breasts into 3-4 strips. 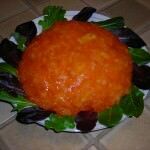 Place in a shallow glass bowl. Make the marinade also referred to as the barbecue sauce. 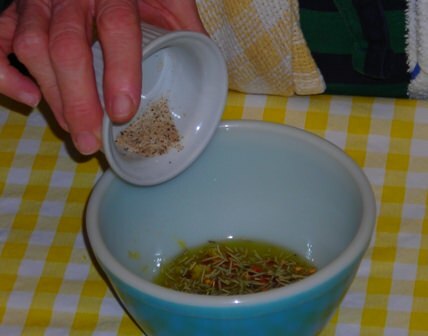 Mix the oil, lemon zest, lemon juice and spices in small glass mixing bowl. Cover bowl and marinate in refrigerator at least 1 to 4 hours. Preheat the oven broiler or grill. Place chicken strips on broiler pan which has been covered with aluminum foil. Recipe inspired by "Italian: The definitive professional guide to Italian ingredients and cooking techniques, including 300 step-by-step recipes" by Carla Capalbo, Kate Whiteman, Jeni Wright and Angela Boggiano, 2003. 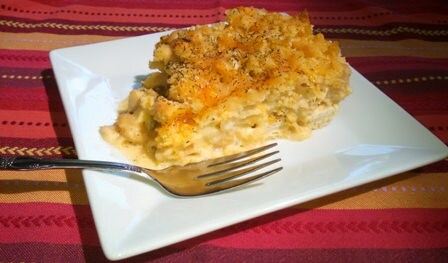 ---------cookbookinabox® in partnership with Netta Belle’s Choice® bring you great recipes your cooking experience. ©2007-2018 Netta Belle’s Choice® cookbookinabox® “Reg. U.S. Pat & Trdmk.Off.” Reg. 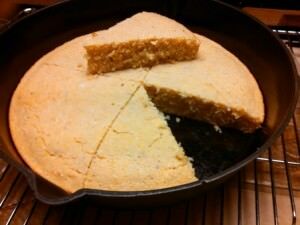 “Trade-marks Canadian Intellectual Property Office.” nettabelleschoice.com and cookbookinabox.com. All rights reserved. 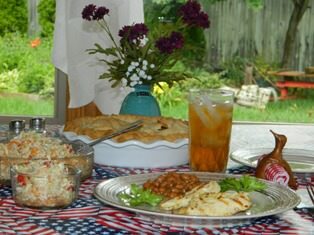 This entry was posted in Poultry and tagged barbecue, chicken, chicken breasts, crushed red pepper, garlic, juice, lemon zest, rosemary on May 24, 2014 by Julia Ann. Cut the chicken breasts across into equal sizes. Roll the chicken pieces in flour seasoned with Sea Salt and Black Pepper. Lay on rack to allow the flour absorb into the chicken. Roll pieces into bread crumbs. Heat the olive oil and butter in skillet. Add the chicken to hot oil to sear and brown. When done, remove to a platter to keep pieces warm while fixing glaze. Pour out the grease and wipe the skillet with toweling. 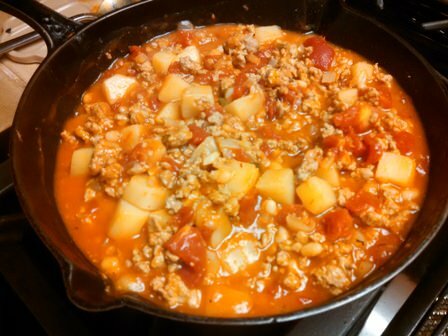 Into the skillet, add the glaze ingredients and simmer for 2-3 minutes. Return the chicken to the skillet to coat with glaze and heat through. 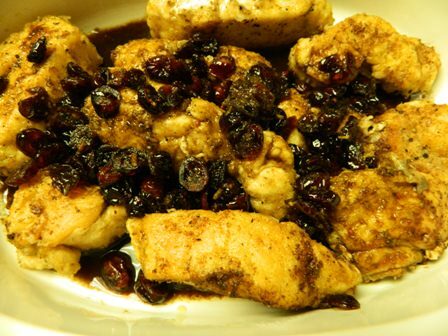 Serve the cranberry glaze with the chicken. This entry was posted in Poultry and tagged balsamic, chicken breasts, cranberry, glaze, meats, vinegar on April 7, 2014 by Julia Ann.